Manta Rays are giants that, regardless of their size, (as much as 7m!!) pose no risk to people. This remains in contradiction to Sting Rays which can deliver a deadly sting. Humans in truth are the best danger to the Rays and they are now considered susceptible due to overfishing. They typically get tangled in fishing nets as they are unable to swim backwards. As soon as knotted, they drown due to their consistent requirement of flushing oxygen abundant water over their gills. 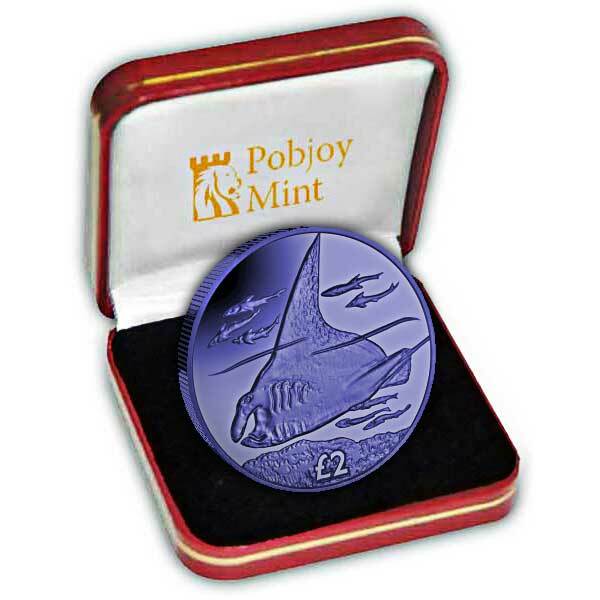 Manta Rays are incredibly majestic creatures of the blue and as a homage to their tremendous size yet elegant nature Pobjoy Mint is proud to launch this amazing coin in Blue Titanium. The depiction shows a Manta Ray skimming above the coral covered ocean floor followed by a group of Remoras. The denomination shown is ₤2. The obverse features the Pobjoy unique effigy style of HM Queen Elizabeth II in extraordinary detail. 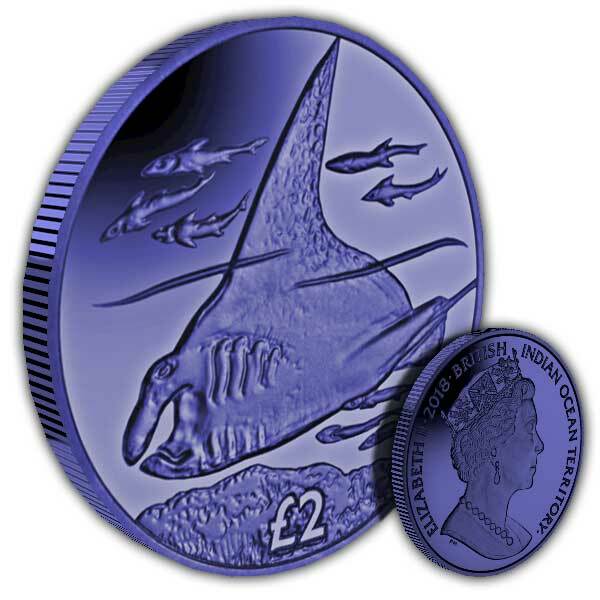 As Titanium responds in a different way with every strike each of the 7,500 Titanium coins are technically different and differ somewhat in colour. There is also a lined result that is present on the coins which is distinct to this metal.